Ben Whishaw made his way to the red carpet yesterday evening(November 30th) for Disney's 'Mary Poppins Returns' premiere at the El Capitan Theater in LA. Ben did not disappoint wearing ALEXANDER MCQUEEN. He wore a grey & white printed suit with scribble drawings and a white & grey stripe suit. 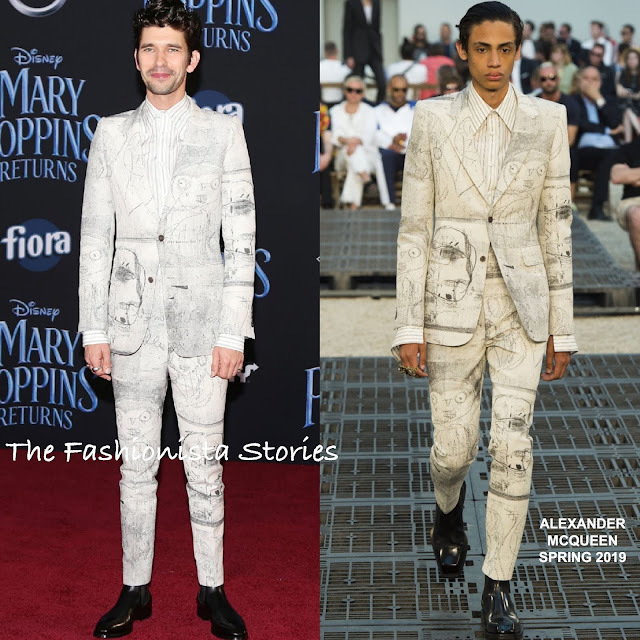 I hope that we see more men wearing McQueen because there are really some great options. Black shiny chelsea boots finshed up his look.